It is the time of festivity around the corner: Christmas and New Year Eve. It’s time to decorate the home. Brighten up a muted décor scheme with bejewelled photo frames and statement accessories. Using bold elements like digitally printed side tables, bright cushions, quirky lampshades and colourful crockery will add a whole new dimension. When it comes to adding a festive touch to your home, let the lighting take centre stage. Bring out beautiful, eye-catching lamps and lanterns in various hues and shapes to add an element of warmth. Visualise and experiment with different placements and design to create an impact and allow the lights to shine through. “Use vibrant-coloured lamps with aesthetic lighting to set the mood. Create an exciting play of shadows with vivacious and multi-hued lamps, which bring colour during the day, and, in the evening, create beautiful mood lighting. Select lamps of different materials such as brass, colourful printed fabrics or glass. For added drama, place candles or floor and table lamps in varying sizes in empty corners of your home to brighten your space. For a traditional touch, incorporate miniature lamps with fine engraving. Give your space a celebratory touch with bursts of colour and glamour in your upholstery by way of bright cushion covers that flaunt Indian artistry. Colourful sequined cushions in your bedroom or on the couch will definitely add festive bling to your space. Bring out cushion covers in rich brocades and silk, in deep tones, and featuring hand embroidery. Introduce some brightly coloured throws with a touch of casual warmth. Replace your old curtains with bright, festive, floral options in gorgeous materials such as velvet, organza, faux silk, jacquard and taffeta. Statement-making pieces of furniture—whether vintage or quirky—in the form of an armchair, bench, coffee table or even a cupboard can uplift the look of your house. Place a warm bespoke rug on the floor to add a bit of colour and personality to your space. Add an ornate, traditional hand-knotted silk rug to any living area, which can immediately add to the richness of the setting and would serve as the best accessory to enhance any space. With too little time at hand to paint your walls, give them an instant makeover by opting for beautiful wallpapers or eye-catching wall art or fabric-clad frames on a central wall or across the entire space. While doing so, ensure that you maintain a balance and don’t go overboard with your wall colours and accents. Wallpapers with coordinated textiles and show plates are the best way to brighten up your home. Elaborate storyboard wallpapers add a narrative and lend character to the space in question. The right wallpaper can work magic in an otherwise dull and monotonous room. Do not hesitate in using strong graphic prints and colours to showcase your own sensibility, especially in a personal space. Life is a story where you play the lead role in every scene of the drama and the things revolve around you help you to fit in every frame. Hence, the backdrop should be as animated as your heroic persona. These are the dramatic furniture pieces that add extra brilliance in your every move, enhance your aura, define your style and magnify your image. Because you deserve a standing ovation. Your furniture speaks about you. When a visitor comes to meet you at your home, it discusses with him/her the things that were left indiscussed. Your furniture talk about your dreams & aspirations, your past, present & future, your goals & ambitions, your interests & passions, your priorities & considerations, and above all; your philosophy of life that govern and control you. 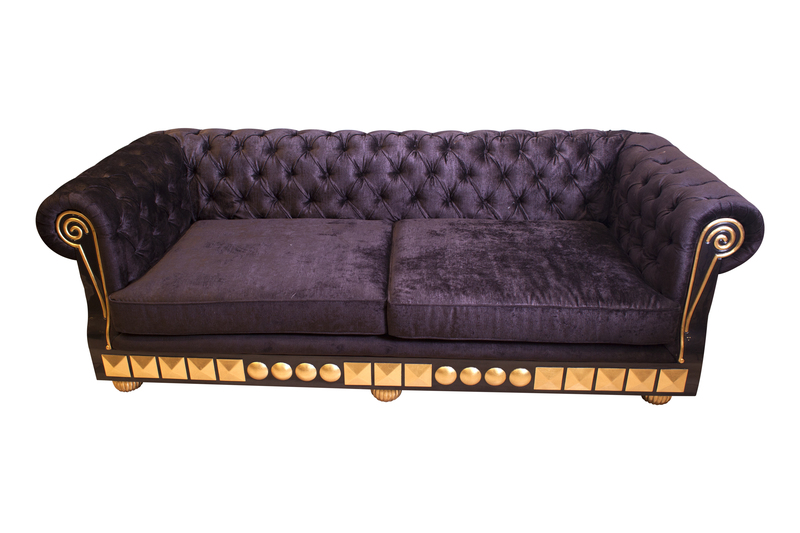 Current trends in dramatic furniture pieces are inspired by vintage designs and modern luxury. They depict a theme or a story, and that’s why we call them dramatic furniture. Whenever you look at them, they stimulate your senses, and you assume yourself as the protagonist of a grand story. They are surreal yet hypnotic and make you proud. 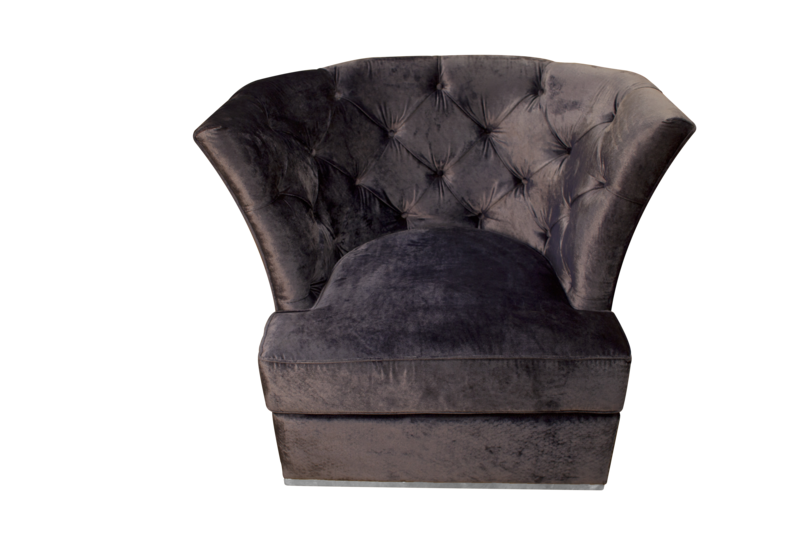 Be it a magnanimous crowned shape sofa or a wonderland chair, all the dramatic furniture pieces make a powerful impact on your personality and lifestyle. Console Table is an ideal addition to a room because of its versatility and capacity to pack a punch in a small space. Console tables are long and lean, and therefore can be put in a narrow space in a lobby or can be used for placing lamps behind a sofa. As per the requirements, you can find a variety of console tables that are made of different elements. Some hold items including a tall vase full of colourful flowers, a short stack of books, and a collection of family photographs whereas others can be used as a spot to showcase eye-catching ornamental decor. Instead of filling the surface of your beautiful console table with household clutter, put a little elegance to it. Floral Arrangements: Place a vase of flowers and potted plants on the entryway console of your house as it is a great way to create good energy. Strategically placed a large faux flower arrangement can also help to focus attention on your display. Books and Artworks: A stack of books or magazines placed on the top of console tables is always appealing. Many console tables do not feel complete without a great book or stack of magazines. Putting your favourite book or the latest literature on the table is a perfect way to express your views. For a more eclectic arrangement, you can display beautiful artworks. Arrange these decorative items in a creative manner so that the tabletop does not look mishmash. Mirror: Mirror looks amazingly beautiful when it is placed on a console table or hanged above on the wall. Moreover, they serve two purposes: first, they’re not only a great decorative but also pull light into a space. Position a bouquet of flowers on both sides, which will make your display much more fascinating for the onlooker and also create balance. Spectacular Lighting: Placing a pair of lamps at the both ends of console table will not only illuminate the space but also create stunning ambience. A table lamp having interesting texture and curved, faceted or colourful base will give great look to your console. Use the Space Underneath: Placing a pair of stools, X benches, a chair or storage ottomans next to or beneath your console adds symmetry to a console table vignette and provides guests with a spot to sit and relax. You can also place an attractive basket or stack of books. Layering: This is the most important thing you need to consider before decorating your console table. You can place items of different shapes, sizes, textures and heights for a stunning display. It is advised to keep long, sleek and large items at the back and small, short ones in front. However, there is no need to fill up every inch of space, but add enough to speak volumes. IVY Concepts, the pantheon of interior luxury brands, will be seen rocking at India Design ID Exhibition 2016 with the high-end furniture and decor. The Fourth Edition of India’s Definitive Design Week will be held at NSIC Exhibition Complex, New Delhi. This extravagantly prestigious show celebrates haute décor, outstanding craftsmanship and unparalleled home accessories. Every year, numerous Indian and global brand congregate for India Design ID, showcasing the very best of the luxury furniture items as well their customized services. This time, the grand show will get sparkled with the presence of renowned and graceful personalities, including Sussanne Khan, Navroze Godrej, Maria Jose, Priya Paul, Anuja Gupta, Neetu Arora, Sunil Sethi, Suparna Handa, Sunita Kohli, Chanya Kaur, to name a few. One of the most dignified players in the high-end furniture industry- IVY Concepts will exhibit its elegant and glamorous luxury interior collections, comprising furniture, lighting, rugs, textiles, wall coverings and accessories for complete home decor. All the pieces are refreshingly exceptional, representing the wonderful blend of the traditional elegance with a contemporary twist. And for the first time, Maria Jose Guinot, world’s renowned interior designer and the founder of Colección Alexandra- ultra-luxurious Spanish brand will also attend the show for IVY Concepts. The synonymous of luxury and style- IVY Concepts will catch the attention of visitors with its exquisite lines, superb details and pristine luxury at stalls no. 15 & 16. Several other global brands, architects, corporate leaders, consultants and interior designers will also make their entry in the latest edition of the exhibition. IVY Concepts is a unit of SLA Group and is the brainchild of Neetu Arora. With her sheer talent, hard work and innate design sensibilities, Neetu Arora creates aesthetically pleasing and inviting environment that ideally reflects the lifestyle and aspirations of her clients. She is famous amongst her valued patrons for her acuity, attention to detail, mind-blowing creativity and seamless perfection. The brand owns an exclusive dealership of the globally renowned brands- Alexander & James and Coleccion Alexandra for entire North India. It is the sole enterprise that brought these iconic brands to India for the very first time. This is the first place, which someone notices when come to your home. Therefore, the entryway should be beautiful and refreshing that invite possibilities and opportunities into our homes. Put a nice piece of artwork, fountain, beautiful door mat or something visually appealing at the place of entrance. Keep your front door clean, place flower pots on both sides of your entrance door and replace broken bulbs. There should be no slippers or shoes lying around outside the main entrance gate of your house as it will bring negative energy (sickness) in your house. Also, keeping a name plate explicitly showing your address on the outside wall of your home directs the positive energy (opportunities) towards your home. Always keep your furniture in a position where you are not in the direct alignment with the open doorway, but can see the entrance from where you are sitting or lying. Those places where you spend most of your time reading or writing such as a sofa, bed and desk should always be in this position. Also, avoid placing sharp-edged furniture in your room as it looks like a weapon and may cause harm to anyone. A broken object brings negativity to home. 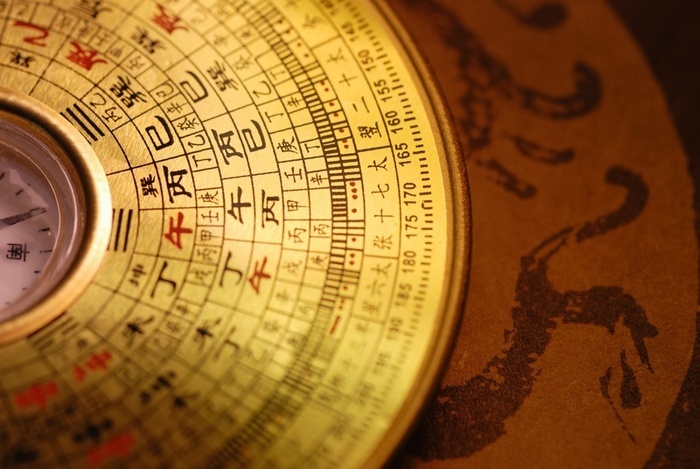 Therefore, Feng Shui suggests replacing or fixing anything that is broken or cracked. Make sure that the tile or an area of flooring is not broken. Because a home with broken objects brings negative energy and it may affect your relationship with the other members of your family. If fixing is impossible on the damaged floor, put a nice carpet to cover it. Feng Shui firmly suggests keeping your house clean and clutter free. Too much clutter in a home tends to prevent positive energy from entering. Never keep any broken watches, plates, mixer, pens or other items in your home as they carry negative energy. 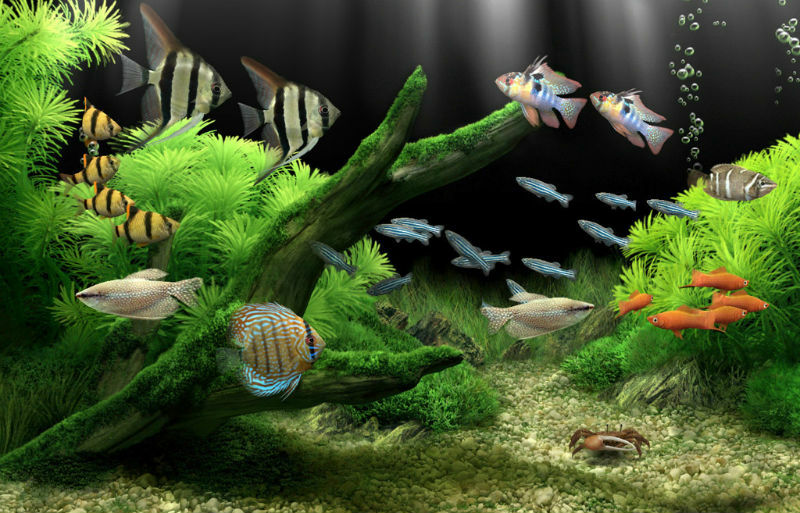 Feng Shui considers keeping a fish aquarium at home as a very crucial and auspicious symbol. It reduces negativity and invites good fortune at home. But make sure that it is placed in strategically suitable area otherwise it can give birth to bankruptcy, work pressure, and other troubles. Fill the empty places in your room with beautiful and fresh flowers. Keep pink and red flowers in the bedroom that will help to spice up your love life. Durga Puja, Dussehra or Navratri celebration is one of the biggest and most auspicious festivals in India. During these nine pious days, the home gets filled with a divine aura. 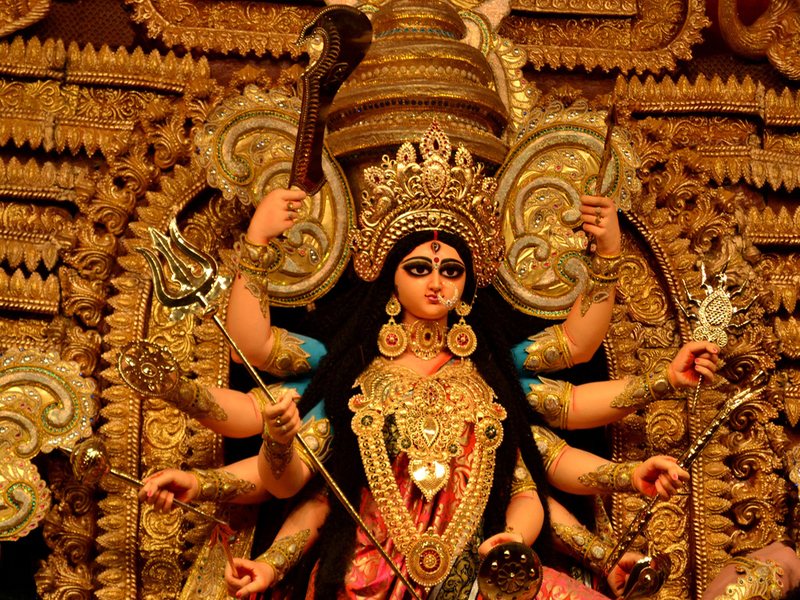 Each day, people worship one of the nine different forms of Goddess Durga. With the Vijayadashami or Dussehra fast approaching, preparations for the festivities are in full swing for many of us. People start decorating their houses or pandal to welcome their beloved Goddess “Maa Durga”. Here are a few simple home decor tips by which you can beautifully transform the environment of your home and give it a new life. Whether it is a religious festival or any other celebration, decorations are always an important part. While decorating your home, the foremost thing you need to take care of is cleanliness. A home decor is incomplete if it looks untidy. Even wrongly placed furniture makes your home cluttered and messy. While rearranging furniture, do not position your couches, chairs or tables against walls and make sure that their corners are not close to the door. Also, blend your furniture with the rest of the features such as bed, windows, cabinet, shelving, and other things. Most importantly, keep your Pooja Room clutter free. Diwali is celebrated exactly 20 days after Dussehra or Durga Puja so this is the best time to paint your walls to make your Diwali more Joyful. Paint your walls with true ethnic colours of India like earthy green, red and yellow. However, if home makeover is not in your budget, you can just rearrange the furnishings and decorative. If you want to stay away from the sheer inconvenience caused during paint work, consider adding festive theme wallpapers or paintings to enhance the beauty of your walls and give your room a complete festive appearance. Lightening gives a pristine and divine look to your room. Whether you have a spacious or a non-spacious worship area, a perfect lightening gives it a special charm. Brighten up your entrance gate with strings of colourful LED lights or spotlights for dramatic effect. It is a tradition to light up earthen lamps or diyas on festivals and special occasions. To spruce up the look of your room, add a row of plain or decorated diyas. 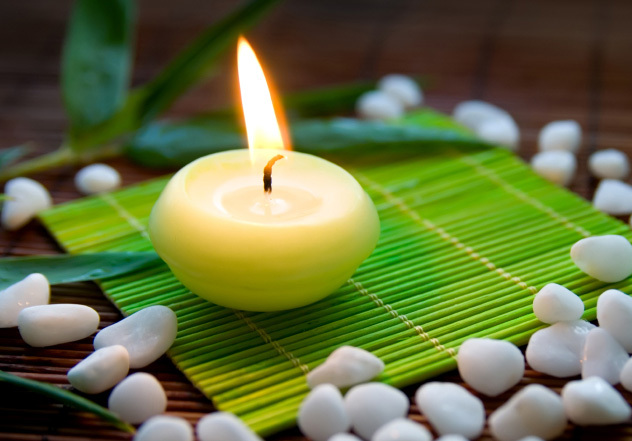 You can give a lavish appeal to your room by adding floating candles that provide light as well as good aroma. Put some floating candles in the bowls of water and place it in the hall or out in the patio. You can also place them as a centre piece on the dining table. Fresh flowers add a festive hue and give a soothing effect to your interiors. Moreover, the fragrance of marigold flowers and other autumn flowers would mesmerize the entire house. Make a garland of flowers and decorate your entrance doors, place of worship and windows with this. You can also go for artificial garlands that come in a variety of colours and patterns. A bouquet of different coloured flowers gives a refreshing and new look to the room. Welcome Maa Durga into your home by creating a beautiful Rangoli pattern at the patio or the entrance way or in the Puja room of your home. A beautifully drawn Rangoli soothes the eyes of the visitors and a sweet earthy fragrance emanates from its colours gives a festive feel. Floating Rangoli is in trend these days in which flowers, diyas, candles float in the bowl filled with water. You can also make Rangoli by using the petals of fresh flowers such as roses, marigold and lotus. Bedroom is the most important room of our home where our body renews itself. This is the only room where we spend most (one-third) of our time mainly asleep. A well-decorated bedroom is soothing; involve a feeling of tranquillity and serenity making it fit for sleeping. It gives a more pleasant life because every morning will begin with a refreshing mind after a healthy sleep. Therefore, it is vital to have a stylish bedroom that will make you feel comfortable and relaxed, and provide you with a quality sleep. However, you can transform your bedroom into a wonderful place for rest. If you have decided to revamp your bedroom and are looking for some inspiration, apply these home decor tips to give an ethereal elegance to the room. When remodelling bedroom, right wall colour can work magic by giving an instant, appealing look to the room and visually expand its size. Knowledge of a few basic rules of a colour combination will help you make the right selections with the bedroom beautifying ideas. Avoid applying dark colours on the walls as it gives drab or boring feeling to the room. Always go for warm colours such as pastel colours, earth colours and neutral colours for the walls of your bedroom as these colours brighten the room and appeal to everyone. Moreover, the blend of warm and cool colours gives the most sophisticated look to the room, but one or the other should dominate. Also, the wall themes should dictate bedding, curtains, headboard and other accessories in the room, so find home furnishings that complement the colour of the room. Add some excitement and interest to the bedroom with monochromatic themes. In this design, one colour is used in different shades, tones and textures such as white, off-white, or beige. Add the same style and texture in the furniture, draperies, bed linens, curtains, throws, pillows, rugs and flooring. Enhance the appearance of the bedroom walls by adding high-style artwork, uniform-sized picture frames, metallic floral wallpaper or hanging an extra large piece of painting in the room. To create a feeling of luxury, dress the bed in restful colours and glossy fabrics. If you have a small bedroom, your bed becomes the focal point. In that case, place your bed against the longest wall. If the wall has no window or doors, try positioning your bed in front of a large window. A plush headboard is a great way to accent a bed. It has the quality to turn bland into gorgeous. If you have a large bedroom, you will get a lot of space to decorate your room. Complementing chairs can actually give bedroom welcoming and comfortable feel. Lighting is the main attraction in a room. Bedroom lighting should be soothing and it should be plenty in a room. If your room does not get natural light, don’t cover up your windows with heavy curtains. Besides, add shiny and sheer drapes or curtains that help keep the room bright. Adding pendant lights hanging from the ceiling or wall lighting or a glaring overhead light fixture look great in a bedroom. You can add swing-arm wall lights that are helpful and give ample light to the room while you are reading in bed. Makes sure that this should be hanged low enough that can easily switch them off while lying in bed. Apart from this, a bold piece of furniture such as an upholstered armoire, a large mirror and arrangement of flowers in a room make it more inviting. Add tapestry carpets or plush throw rugs on the floor. Don’t place too many small rugs in a bedroom, as they will look like clutter. Considering all this ideas while designing a bedroom will make your life more enjoyable and relaxed. room make it more inviting. Add tapestry carpets or plush throw rugs on the floor. Don’t place too many small rugs in a bedroom, as they will look like clutter. Considering all this ideas while designing a bedroom will make your life more enjoyable and relaxed. Whether a room is modern or traditional, compact or lofty, luxury furniture can transform it into a space of sophistication and serenity. 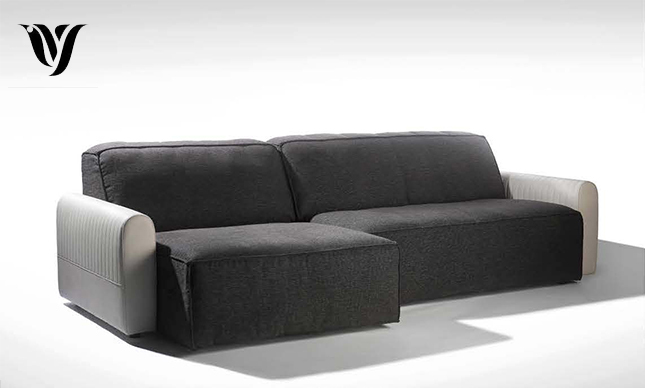 People, these days, opt for luxurious furniture that are comfortable as well as stylish. A room might have opulent chandeliers, colourful walls,delicate rugs and matching curtains, but its appearance is incomplete without elegant furniture. Whether for a large space or small, luxury furniture can make the room looks more special and classy. It gives a room a feeling of warmth and completeness. Also, your lifestyle and the kind of furniture you have, reflects your personality and hence social status.Obviously, at the end of the day, everyone endeavours to achieve the perfect home that not only becomes your comfort zone and an extension of your entire persona, but also a palatial place that can be flaunted to your friends or relatives. With increasing nuclear families and income, it has become much easier to convert room into an ultra luxurious space. Further, the current generation has the skills to understand, acquire and arrange ideal collection of unique furniture and other furnishings that speak about their actual personality and position in the society. To cater the ever-growing needs of the new generation, interior designers are constantly raising the bar, by conforming with global standards in terms of designs, facilities and services provided to the clients. Now homes have graduated from being just a space for comfortable living into a luxury segment. Newer materials are blended with innovative ideas to craft wonderful pieces of furniture. While purchasing furniture, keep in mind that the furniture is suitable with the decor, colour, or theme of the room. Whether your particular room has masculine, feminine, romantic or classic theme, you will get an exquisite range of luxury furniture in all themes. The other thing you should need to know before buying furniture is the space of your room. Only buy furniture that will easily fit in the room. Each piece of luxury furniture serves a vital function, and when chosen wisely, it can add unparalleled splendour to the room. Luxury furniture does not mean only lavishness and expensive. But also, it is a type of furniture that accentuates the overall aura of the room. The best thing about luxury furniture pieces is that they come in convincing and inviting designs and styles from classic to contemporary and match nearly everyone’s individual style, taste and even values. Use of high quality materials and good colours in the creation of luxury furniture make them must-have for everyone. Jazz up your room with metallic styled materials that ooze generous amounts of luxuriousness. Addition of plush vintage furniture in the living space brings a sparkle to the home and boosts its beauty. While several furniture pieces can combine with the texture and colour of a room walls, by using glittering gold and striking silver finishes your furniture will undoubtedly grab the attention of your guests. When you plan to design your drawing room, you should make furniture the first component of consideration always. A house without furniture looks like a body without soul. Generally, people in temptation of starting an interior decoration work, do not spend sufficient time on ground aspects. The majority of people just repaint or add a few decorative items to the space in the name of renovation and redesigning, which ultimately displease them. If you know what you want from the space, it will be much easier for you to choose which pieces of furniture and decor will go into the room. Furniture wonderfully defines your drawing room as it offers the necessary information that you want to showcase. When you decide that how you intend to use the space, it becomes much easier to decide which piece of furniture, paint colour and decor, such as art and lightning will go into the room. For example, if you have to entertain lots of guests, then you need a large amount of seating to accommodate them. Your arrangement of furniture and other objects in the space determines the flow of your room. The right placement of furniture in your redesigned room would dictate how much space a room would have. For instance, a small room having large pieces of furniture look cramped while large room with inadequate pieces of furniture make it empty and barren. Along with this, height also matters while choosing furniture and when deciding where to hang artwork or wall decor so that people can see them without any extra effort. There should be adequate space between sofas and tables so that people can move easily among them. The furniture you select to fill your drawing room reflect your unique sense of style. Some people flip over the simple minimalist style interior while others prefer the comfort that classic designs offer, some opt for retro style whereas others like the trendy and cool look of contemporary-modern style sofas. Either way, the furniture we place in our rooms effects other people’s perception of you. Apart from this, factors such as your seat allocation for guests, how much preference you give to comfort over style, the brands that you look for, all speak about your personality. A room without furniture looks empty and living in an empty room is usually pretty depressing. 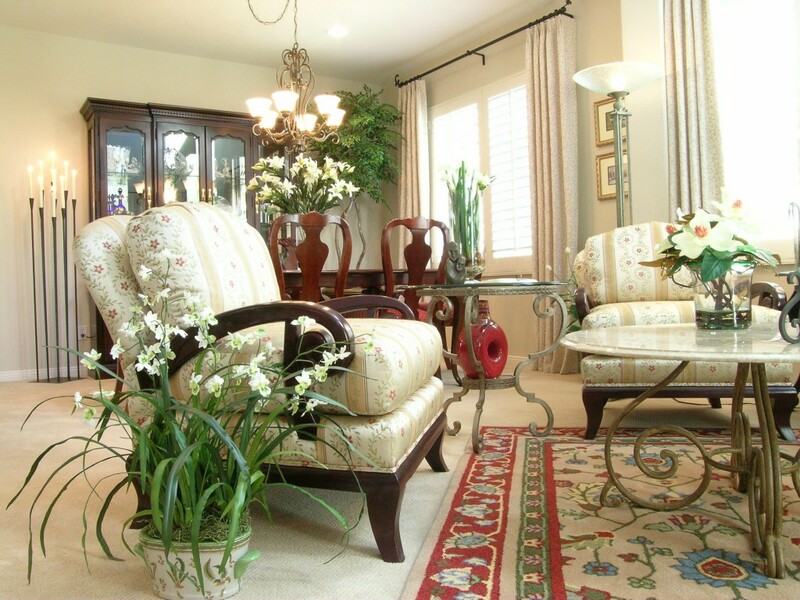 Arranging furniture beautifully improves the appearance of the room. However, if you keep a large and bulky furniture pieces in one side, it will make the room look weighted. You just need to group bigger pieces with small and position them uniformly throughout the space so that one side does not look excessively weighty. For this, you can visualize the room in totality to ensure whether the arrangement works perfectly or not.